The PADI Rebreather Qualifier course is simply a crossover to an additional unit. 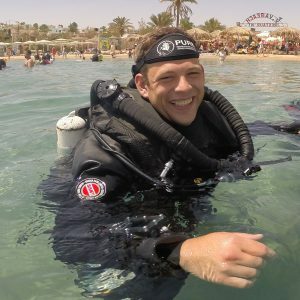 Since rebreather units have different operation and techniques, it's important to get your certification on the specific rebreather that you're diving. With the PADI Rebreather Qualifier course, you'll qualify to dive one of the units listed below. This is a 2-day course with 4 dives with a maximum depth of 30m. As a PADI Rebreather Diver or Advanced Rebreather Diver you qualify to dive on a specific Type R rebreather. To dive on a different rebreather, you must qualify on that unit. Fortunately, there is no need to take another complete PADI Rebreather Diver or Advanced Rebreather Diver course, you can simply enroll in a PADI Rebreather Qualifier program.